Ladies! Today we have great tutorial for you. 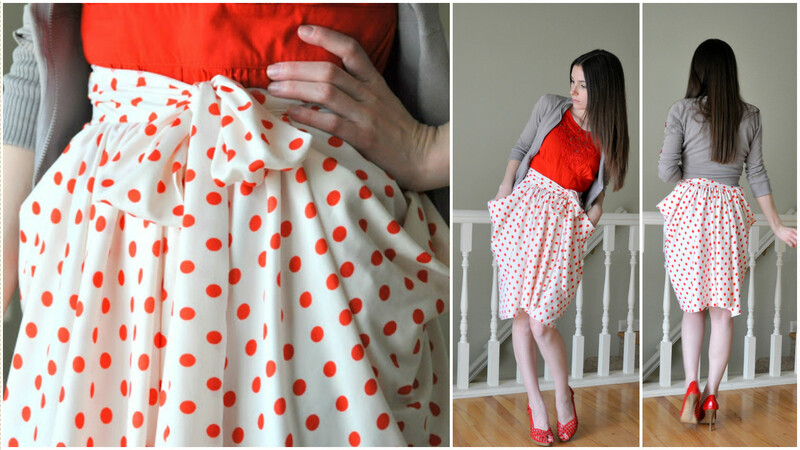 Today at pretty-ideas.com we want to teach you how to sew beautiful and lovely Polka dot skirt with pockets. In this tutorial you will learn everything step by step that you need to know to sew this adorable and attractive skirt. In this skirt you will look great in all situation and will look great also at many type of clothing from your wardrobe , at casual and at classic too. On these pictures you can clearly see that this skirt has red dots, but you can change color of dots with blue color or black, yellow and etc. Start sewing now and make another beautiful skirt with your hands. Good Luck.